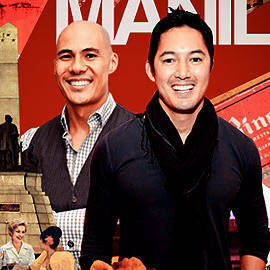 Two guys and three questions to give you more reasons to keep loving Manila. (SPOT.ph) We’re not sure if either Marc Nelson or Rovilson Fernandez will react negatively if we added them to the list of Manila’s most beloved couples but with their humor in mind, we’re thinking they’d just ham it up. The chemistry in their bromance is just too hard to resist. They’re great hosts individually, but together, they’re like Panchito and Dolphy but with a heck of a lot more muscle. It’s almost an understatement to say that these two chaps lead very active lives but despite having amazingly raced Asia, they’re still in the Philippines being national ambassadors for the local WWF. 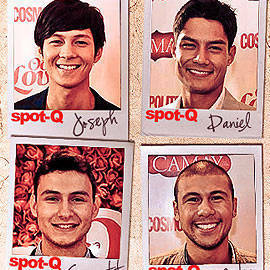 SPOT.ph caught up with them and asked about their favorite things when it comes to Manila. What are the spots in Metro Manila that you enjoy most? Marc and Rovilson: My home! Marc: We're very fortunate that we live in a very nice community. Apart from the construction on a Sunday (on a Sunday! ), it's very quiet and the air is clean. As for public places, I like the green areas like the Greenbelt area. There aren't that many within Manila. 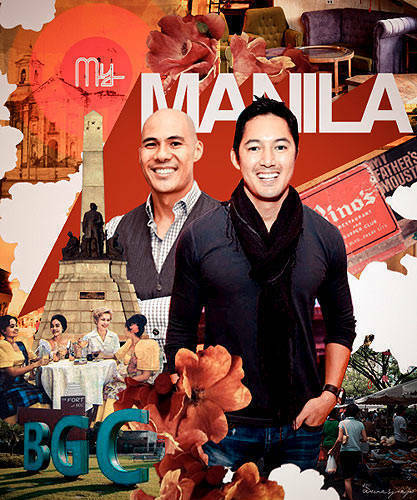 Rovilson: We're a big fan of, because we live in proximity to it, the Fort-BGC area. We really see their efforts to make it as green as possible. We know that progress has to happen there but we see their dedication to not just the greenery but to health and wellness as well. It's fast becoming the sports capital of the Philippines what with their parks. Marc: And all the running. And it's nice to have that strip in High Street where people can walk and enjoy the outdoors. We need more places like that. Rovilson: I know it's still a mall but it's an outdoor mall. I think if you're going to build a mall, build an outdoor mall like that. Are there any particular places you like going to for food in the city? Marc: I like to cook so I usually eat at home and the times that I eat out, it's on a cheat day and that's when I'll eat junk. I do like Kasbah and Draft. Rovilson: I'm very supportive of the markets. Salcedo Market, Legazpi Market, and Mercato... we're both fans of those places. They give opportunities to these mom and pop establishments and wonderful, wonderful new chefs that have these great products but don't have any place [where they can sell them]. Marc: And from there they can put up restaurants. Marc: Exactly, organic. You can find all sorts of food stuff that you can't find in regular restaurants. Rovilson: And you get to talk to people who are passionate about food and wellness. You guys are really into healthy living and being green so we're sure you've heard of the push in Quezon City to use paper bags instead of plastic. What else do you want to see in Manila to support that kind of lifestyle? Rovilson: Definitely more waste bins. There just aren't enough of them around. There's just this slogan in my head all the time of "Don't Litter" and we definitely need more trash cans around the city. Marc: Aside from that, I'd still push for a better implementation of whatever can make the air cleaner. You still see buses and jeeps and taxis that contribute to pollution. It's causing all sorts of lung diseases like asthma and, of course, cancer. We had a friend who developed a lung disease and the doctor was asking him if he smoked five packs a day and he just said, "No, I exercise. 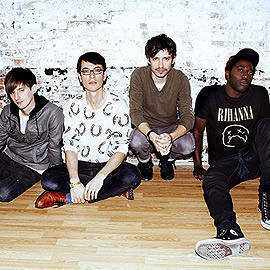 I run around Manila." Rovilson: He had to find an exercise that won't kill him. Marc: But we're getting there. The move to paper is a great move and I was in Muntinlupa and I think they're doing that there too. But some establishments don't even ask you if you want your stuff in a bag, they just stuff it in plastic. And then some stuff a plastic bag in a plastic bag in another plastic bag so we'd like to see less of that. On a totally random note, since you’re both very keen on saving the planet, which Captain Planeteer element would you pick? Marc: Water. I’m a water baby, I love water sports.